As with the legality of tiny houses on wheels in general, composting toilet regulations differ from municipality to municipality. In fact, states like North Carolina don’t have any codes for composting commodes at all. In other states composting toilet codes don’t even apply to homes that also have a flush commode in place. In fact, it seems the only houses that are regulated by composting toilet codes are those new construction ones that are pursuing an alternative wastewater system. In other words, new homes that are looking to compost rather than grid tie to a backyard septic unit or a city sewage system, are the only homes that seem to fall under the jurisdiction of composting toilet codes anyway. A few states like Massachusetts, Arkansas, Colorado, Florida, and Idaho (and yes, there are others) actually do allow composting toilets in lieu of sewer/septic. The caveat is that they must be NSF– (independent third-party certification body that tests and certifies products to verify they meet these public health and safety standards) certified and manufactured by an NSF-compliant company. None of these states seem to have any guidelines for lovable loos or Home Depot buckets! 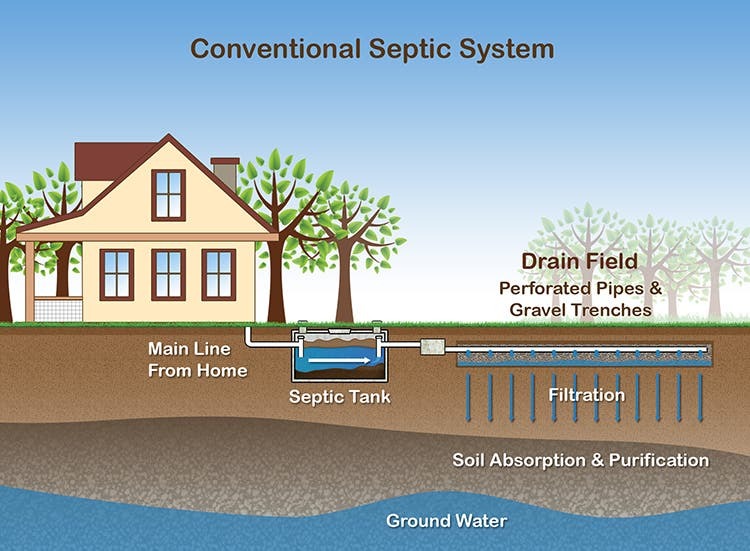 Much like water systems in the city or most counties, if you’re building a new home and want an alternative wastewater system, there is a strong probability that you will still be required to tie into either a backyard septic or a city sewer option. Be ready to have a perc test done on your land and the results submitted to code enforcement. Furthermore, check with the EPA (Environmental Protection Agency) in your municipality for current composting toilet regulations. Your toilet and the composting area are on your personal property. You can’t maintain a portable human waste receptacle unless you have a license to do so (think job site port-a-john). If you compost the waste matter on your own property, you are not breaking this law. There are no restrictions in your municipality prohibiting backyard compost piles. Do be kind though and make sure your compost bin doesn’t emit foul odors or attract rodents. You have one flush toilet in the home. NOTE: United States regulations require every legally habitable dwelling to have at least one flush toilet connected to an approved sewer or septic system. 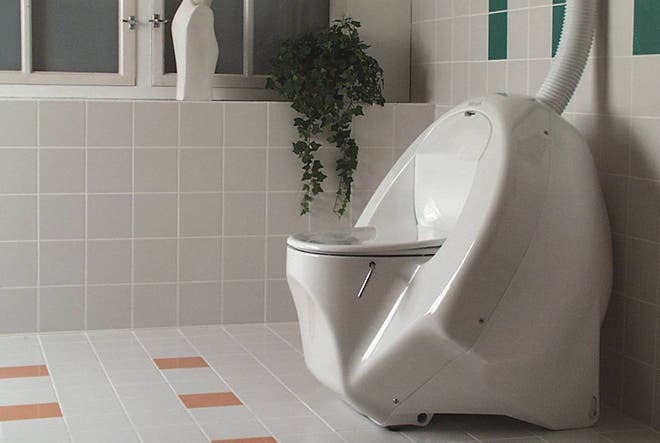 Do you currently use a compost toilet in your home? Do you also have a traditional commode in place? Did you have any trouble with local codes and enforcement? Let us know in the comments below. Be sure to join our Facebook page as well to continue the conversation. 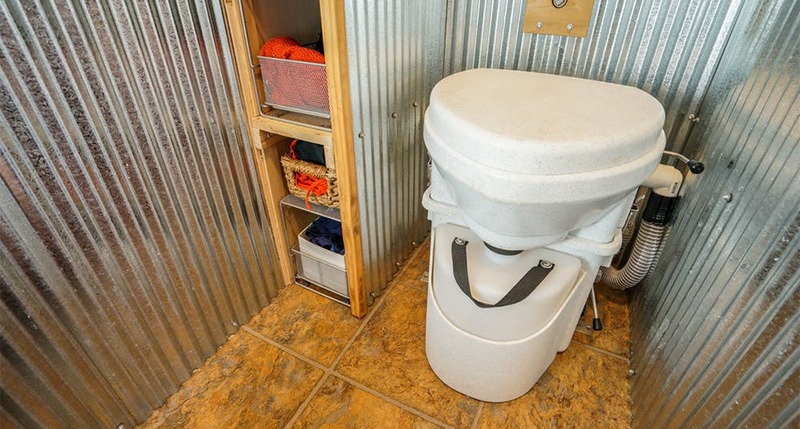 This is probably the best source there is for everything on composting toilets.